The L30 is a compact, low cost clutch brake label applicator. With variable speed controls and photoelectric label sensing, the unit is practical and easy to use. 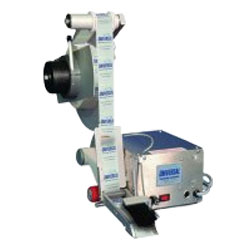 Compact, cost effective label applicator. The L30 is available in: Wipe-on.